A team from the Massachusetts Institute of Technology’s (MIT) Field and Space Robotic Laboratory (FSRL) has designed a new solar-powered water desalination system to provide drinking water to disaster zones and disadvantaged parts of the planet. The water desalination system can be easily packed up for delivery to emergency areas and is completely powered by solar energy, so it is able to function in arid and remote off-grid regions. Desalination systems often require a lot of energy, as well as a large infrastructure, to support them but MIT’s compact system is able to cope due to its ingenious design. 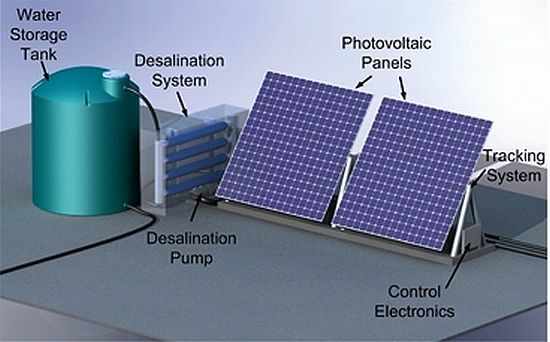 The system’s photovoltaic panel is able to generate power for the pump, which in turn pushes undrinkable seawater through a permeable membrane. Once the salt and other minerals are removed, the water can then be drunk. The system even has sensors that enable water purification even without high levels of sunlight. 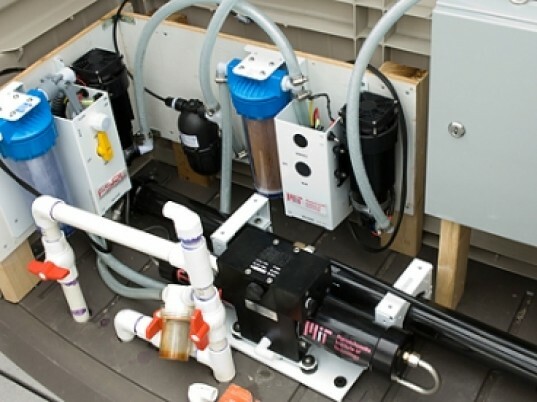 MIT’s prototype can reportedly produce 80 gallons of drinking water per day, depending on weather conditions. A larger version is also being designed, which will cost $8,000 and will be able to provide 1,000 gallons of water daily. The design team also claim that two dozen desalination units could be transported in a single C-130 cargo airplane, providing water for more than 10,000 people. What is cost of permeable membranes, and their life span? A team from the Massachusetts Institute of Technology's (MIT) Field and Space Robotic Laboratory (FSRL) has designed a new solar-powered water desalination system to provide drinking water to disaster zones and disadvantaged parts of the planet. The water desalination system can be easily packed up for delivery to emergency areas and is completely powered by solar energy, so it is able to function in arid and remote off-grid regions.